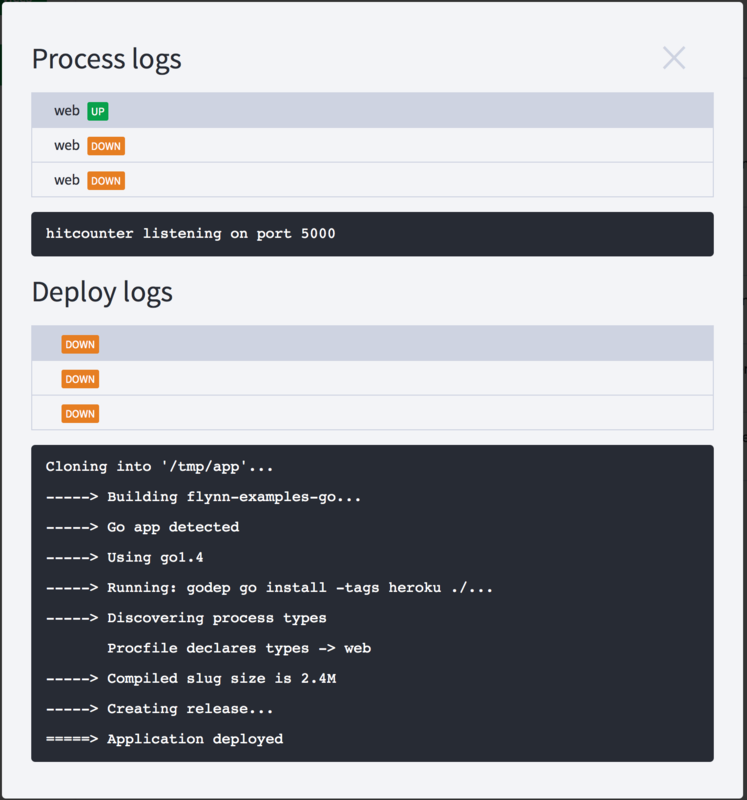 Note that only apps deployed through the dashboard with this version or later will have deploy logs visible in the dashboard UI. I think we should show at least timestamps in the logs list. Is there any other identifying information that would make sense? I don't think the DOWN label makes sense, maybe Finished? 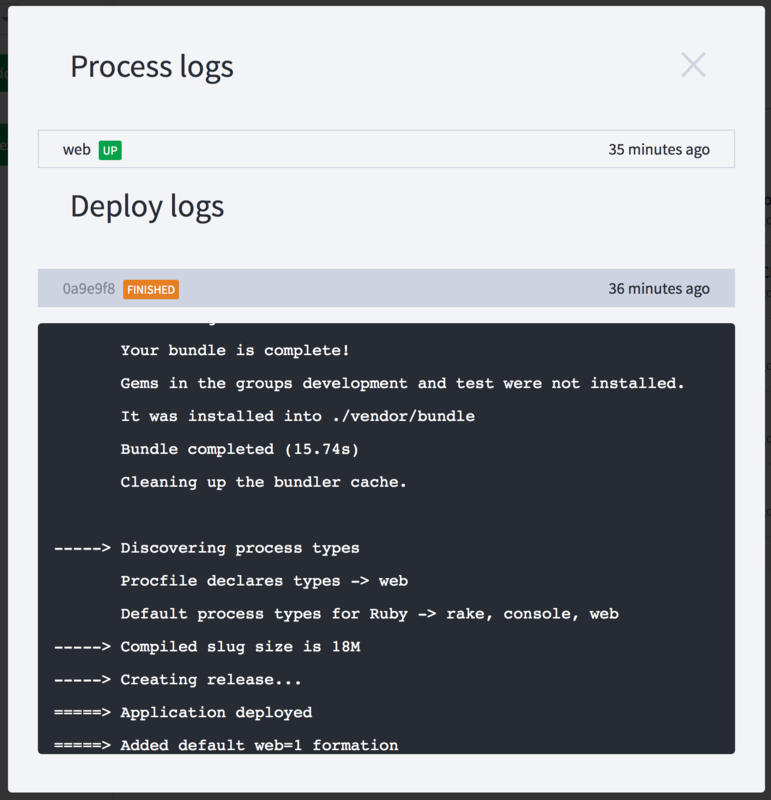 We can add any identifying information we want to the job meta (such as the git ref). I think timestamps definitely make sense (for both sets of logs). Yeah, the DOWN label is a bit odd in the context of deploy logs.